As per usual Omaze are offering a truly once in a life time experience. Especially if your a fan of Jon Stewart, Jon may have left our screens but he is not gone in fact on the topic he had this to say, ‘ what’s dead may never die…’ . The famous quote by House Greyjoy ties in perfectly With Jon’s triumphant return hosting a night of too many stars. 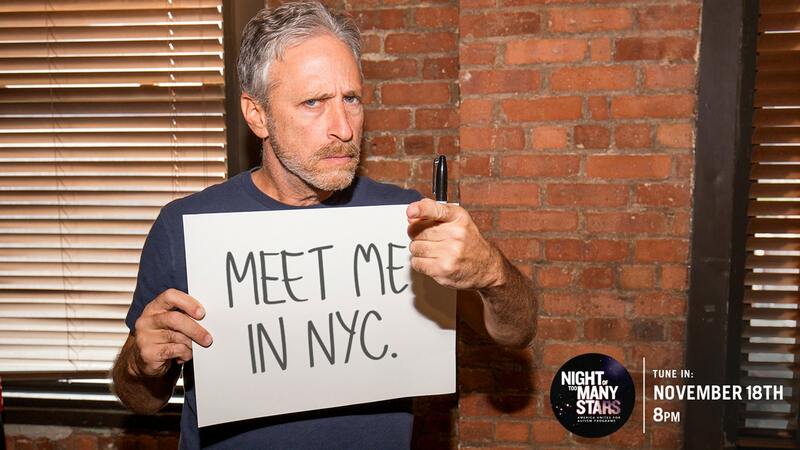 You will be flown out to New York, get VIP tickets to the Night of too Many Stars and at it not only will you meet Jon and join him on stage but you will also sit on the Iron Throne and have Jon bend the knee to you. As a fan of the Daily Show and Game of Thrones this is one that not even I can pass up. Not only is this a fun and unique experience but you will also be helping out NEXT for AUTISM which is a nonprofit organization that helps services for people with autism by strategically designing, launching and supporting innovative programs. So guys what are you waiting for? Has the final Infinity Stone already appeared? WHAT IF OVERWATCH WAS LIKE POKEMON ?